Keep all your essentials with you from day to night with the Andrea Wide Foldover Clutch by Olga Berg. 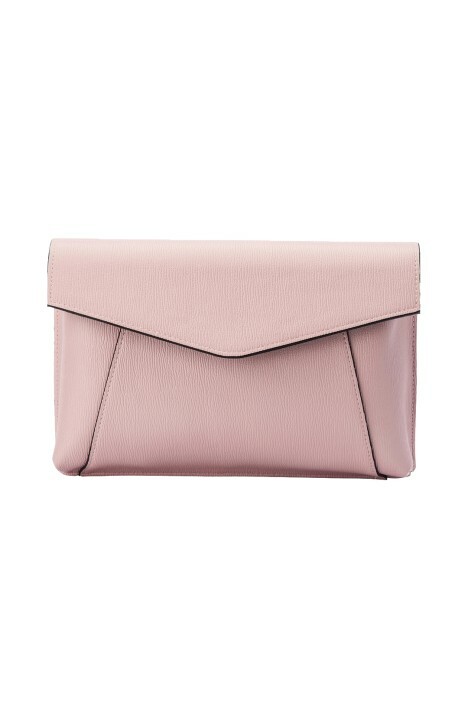 Made from saffiano vegan leather, the clutch comes in a stunning blush shade and features a removable shoulder chain. Rent the eco-friendly clutch for a cocktail party or for a night out with the girls!